For some reason FB wouldn’t approve my name change (The Stress Free Spanish Teacher) and so I’ve had to create a new FB page. *shrug* I’ve let the old page sit untouched for quite some time but realize it’s time to say goodbye to the old page for good! While technically I can’t ask you to “like” my new FB page for entries into the giveaway, if you have enjoyed my previous content, please join me on my new Facebook page, The Stress Free Spanish Teacher! 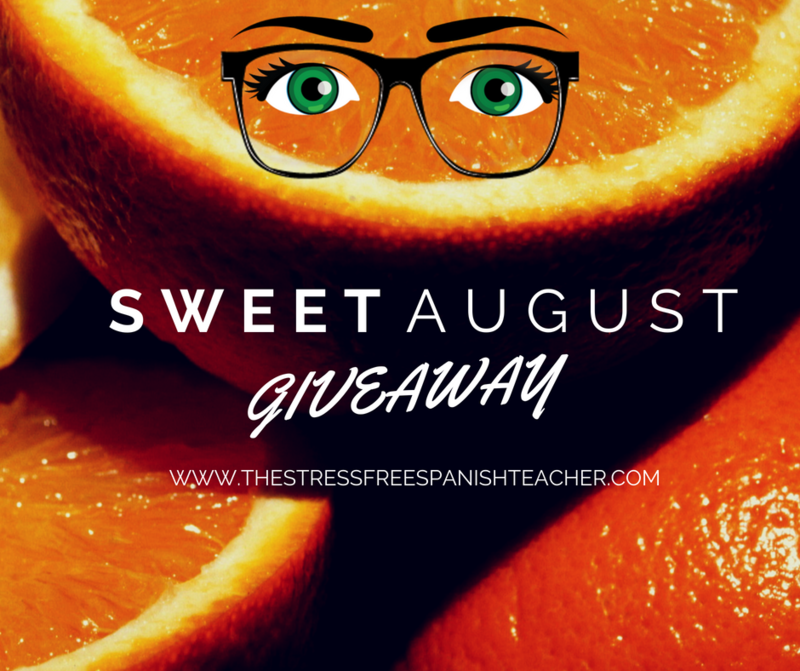 And you can enter to win a $10 TpT gift card here AND on The Stress Free Spanish Teacher Facebook page!